By: Emil J. Bravo, Executive Vice President, Gallagher Bassett Services, Inc. There are a number of things to consider when contemplating the structure of your workers’ compensation program, beginning with whether to transfer the risk (insurance) or retain the risk (self-insurance). Today’s marketplace offers a variety of competitive options, from a Guaranteed Cost (GC) program, to an insured program with a deductible or retention level, to a qualified self-insurance program, with or without excess coverage. Of these options, all but GC are considered loss-sensitive programs. Which program design is right for your company is dependent upon the organization’s appetite for risk, and ability and/or desire to directly control the process. There are a number of other factors in the structure of your program that should be worked through with assistance from your broker/consultant. Once you have decided on the program structure (with the exception of GC programs), you’ve only made the first of many decisions, which will follow. If you have selected a loss-sensitive option, you will likely have the option of selecting your service providers. Initially, you will need to select a Third-Party Administrator (TPA) to provide the claims adjusting services. While there are a number of considerations involved with this selection process, TPA selection is not the topic of this article. Each TPA will have its recommended program structure, including staffing model, office locations and all of the associated ancillary services – many of which are offered on either a “bundled” or “unbundled” basis. So what exactly do we mean when we talk about these services from the TPA perspective? Simply put, bundled services are those ancillary services that the TPA has built into its overall claims management programs; while unbundled services are selected and negotiated directly by you, the buyer. Such ancillary services include medical bill re-pricing/bill review, nurse case management, utilization review, Preferred Provider Organizations (PPOs), specialized medical networks, investigation services, defense attorneys, interpretation services and, in a few cases, a claims administration system. There are varying schools of thought on the advantages and disadvantages of unbundling any or all of the ancillary claim services. As a Third-Party Administrator with a primary goal to provide optimal claim results at a competitive price, our perspective is different from other claim providers within the workers’ compensation industry. Our perspective is driven by having ultimate accountability for your program’s results and outcomes, thus giving us a significant stake in the game. A difficult balancing act for many TPAs is the ability to offer flexibility and choice to their clients, while also maintaining growth and profitability. With controlling the client’s overall cost of risk being paramount, we structure our service offerings to maximize outcomes as well as internal efficiencies. With this goal in mind, we conduct extensive research and due diligence in determining which services are mutually beneficial to offer on a bundled basis. Oftentimes we have explored the marketplace and considered a number of outside vendors and their fit within our objectives, structure and culture. Given the ever-changing marketplace, our due diligence shouldn’t end there; there should be ongoing evaluation and measurement to ensure that the overall program remains structured in a way that will optimize results. We believe that synergies are created within the bundled structure that cannot be as successfully achieved as with an unbundled structure. The workers’ compensation community is comprised of a myriad of service providers. As employers, they are all eager to do business with you and may offer competitive pricing, performance guarantees and controls that are very appealing. An unbundled approach can provide you with a customized program, allowing you to select vendors that you believe will help you achieve desired program outcomes. Unbundling can also allow you to replace an underperforming service provider without reinventing the entire claims program. Next week we will identify those services most often considered for unbundling, and their respective advantages and disadvantages. Emil Bravo began his career at Gallagher Bassett Services, Inc. in 1977 in New York. Emil quickly moved up the corporate ladder using his positive attitude and business savvy. After moving from the East coast to Illinois, he started in his position as Executive Manager in charge of training and development. He then moved on one year later to Vice President of the Managed Care division where he developed managed care programs for Gallagher Bassett. He soon added to his responsibilities by also taking on the Account Coordination division (currently Account Management). From 1997 to 2000 he was Senior Vice President for Sales, Marketing and Managed Care. In 2003, Mr. Bravo was elected Corporate Vice President/Corporate Officer for Arthur J. Gallagher & Co. In addition to his duties as Corporate Officer, Mr. Bravo is also Executive Vice President of Gallagher Bassett, responsible for Sales, Marketing, and Managed Care. 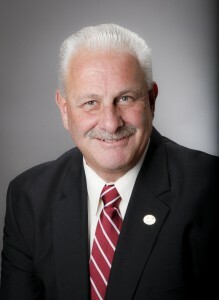 Emil Bravo attended State University of New York at Stony Brook and graduated in 1973 with a B.A. in Economics. About Gallagher Bassett Services, Inc.
Gallagher Bassett Services, Inc. is one of the nations’ largest property casualty third-party claims administrators. They provide insights and services in the areas of claims management, information management, medical cost containment, and consultative services which includes risk control consulting and appraisal services. Gallagher Bassett has been providing comprehensive risk management services for nearly 50 years. They currently have over 100 service offices worldwide, including offices in Canada, Australia, New Zealand, and the United Kingdom. They employ 4,200 professionals to serve and deliver high-quality, cost-effective and innovative claims management services – from Workers’ Compensation, Automobile Liability, General Liability, Products Liability, Texas Non-Subscriber, to Property lines of business – with recorded revenues in excess of $462,000,000. For the third consecutive year (2008, 2009, 2010), they were the proud recipients of Business Insurance magazine’s Readers Choice award as the “Best Property/ Casualty Third-Party Claims Administrator.” Visitwww.gallagherbassett.com to learn more about how Gallagher Bassett can help you to lower your cost of risk.